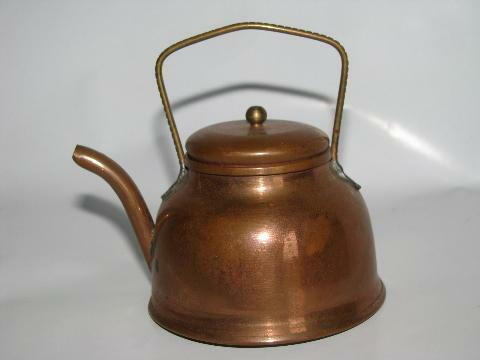 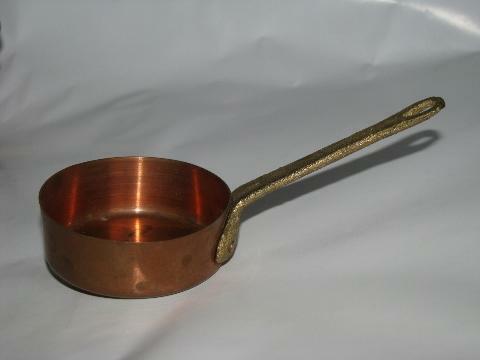 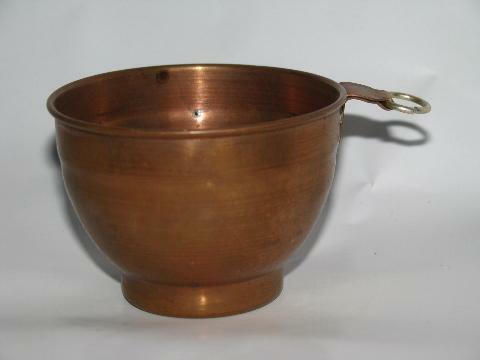 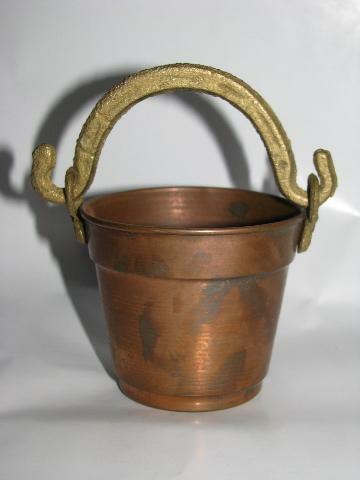 doll size miniature copper kitchenware, tiny bucket, kettle, cauldron etc. 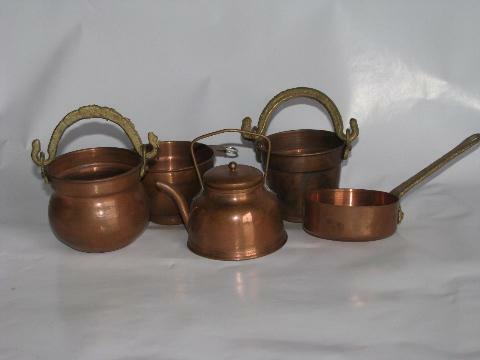 Lot of cute little vintage copper ware, sized for dolls! 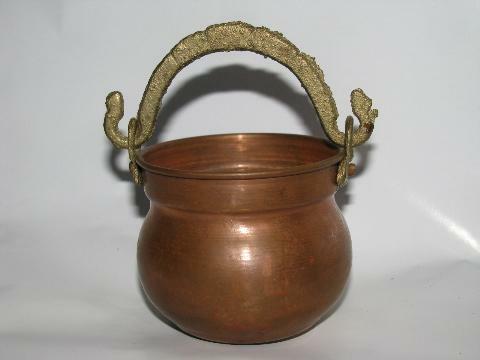 The big cauldron measures 2 1/4" x 2 1/2" not including the brass handle, just to give you an idea as to the scale.